Omorovicza have released five limited edition Christmas Sets: Moor Mud Set, which contains a full size Thermal Cleansing Balm (one of my favourite ever cleansers), a cleansing mitt and 2 mini samples of their Deep Cleansing Mask and Refining Facial Polisher (both of which have been featured on the blog previously). This set is priced at £48, which is the same price as the cleanser so basically you are getting to try two other products for free. The next set, is the one which I have, and I think it will be their most popular set. It is the Introductory Kit, which contains five generous sample sizes of products. Included are Thermal Cleansing Balm, Ultramoor Mud Mask (spanx for your face in my opinion, read more here! 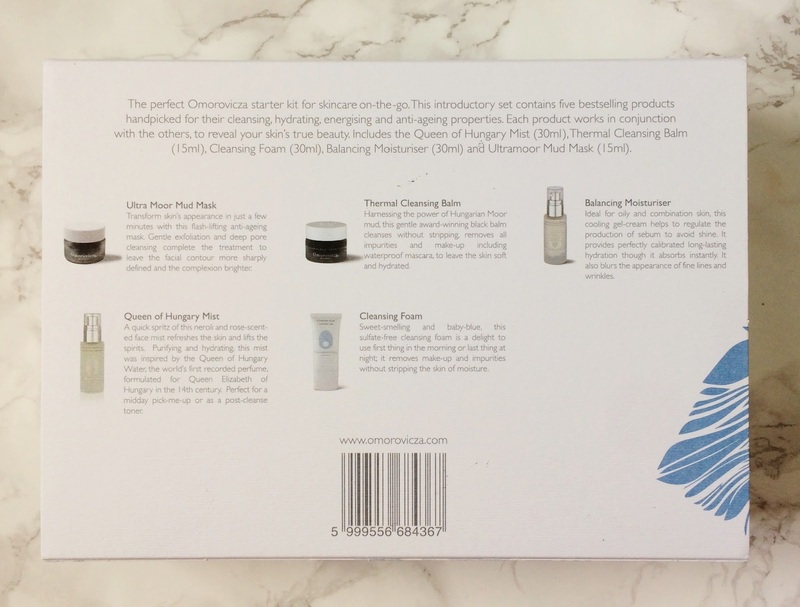 ), Queen of Hungary Mist (read my thoughts here), Cleansing Foam and Balancing Moisturiser. This set is priced at £69, which I think is great value for a luxury brand because the five products should last for at least a month, if not longer, by which point you will have decided if they suit your skin and which to purchase full sizes of. So many of you have told me that you want to try the Ultramoor Mud Mask, in particular, and this is the first time that it has been in a set so now is your chance! 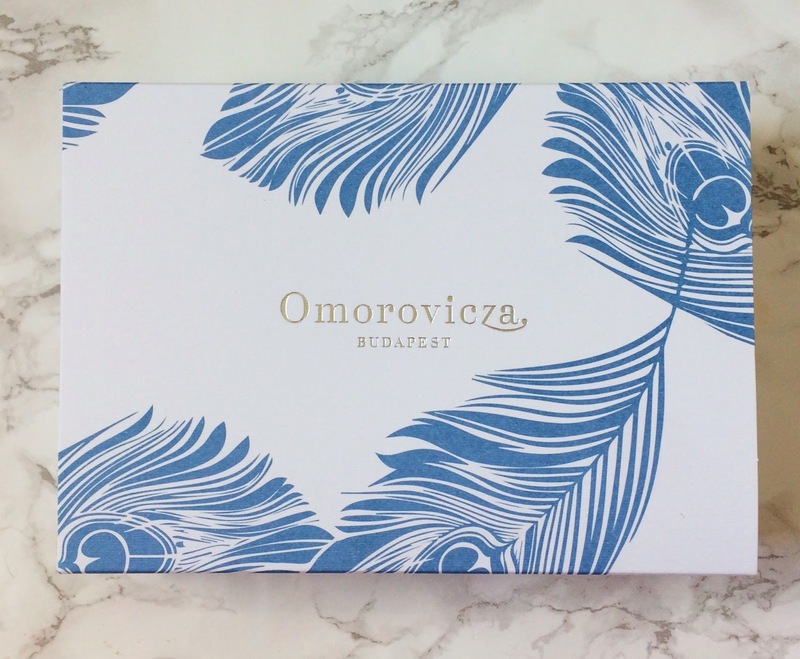 The packaging is sturdy with the signature Omorovicza print on the outer sleeve. The next set is the Miracle Facial Set, which contains a full size of the Miracle Facial Oil (which I recently started using so there will be a full review in the coming months), a 30ml Queen of Hungary Mist and 30ml Illuminating Moisturiser, which sounds right up my street because it delivers an intense dose of hydration and absorbs immediately resulting in blurred lines and increased radiance. This set is priced at £80, which is amazing value given that the oil alone is priced at £75 so you are essentially receiving two generous sized products worth £60 for £5. Last Christmas, I was lucky enough to receive a bottle of the Gold Flash Firming Serum from my husband so I was delighted to see that they are releasing a gift set from that line this year. It is called the Gold Facial Set and it contains full sizes of Gold Rescue Cream, Gold Night Drops and Gold Eye Lift. This range helps to repair and strengthen the skin and contains colloidal gold, which has anti-inflammatory properties. This gift set has a value of £445 and is priced at £310 so whilst it is an expensive outlay, there is a huge saving of £135 to be made with this set. I would be extremely happy if I found this under the tree Christmas morning! Finally, the fifth gift set is the Blue Diamond Set. This is the ultimate in luxury and contains a full size Blue Diamond Super Cream and a full size Blue Diamond Concentrate. This powerful anti-ageing duo would cost £570 individually but together in this set, they are priced at £400, which again provides a massive saving of £170. All of these gift sets are currently available to buy from Omorovicza and all Omorovicza stockists (Lookfantastic, Feel Unique, Space NK, Sephora and Harvey Nichols to name a few!). If you buy directly from Omorovicza, you can also select three 2ml samples, which is a great way to try some other products from the brand. 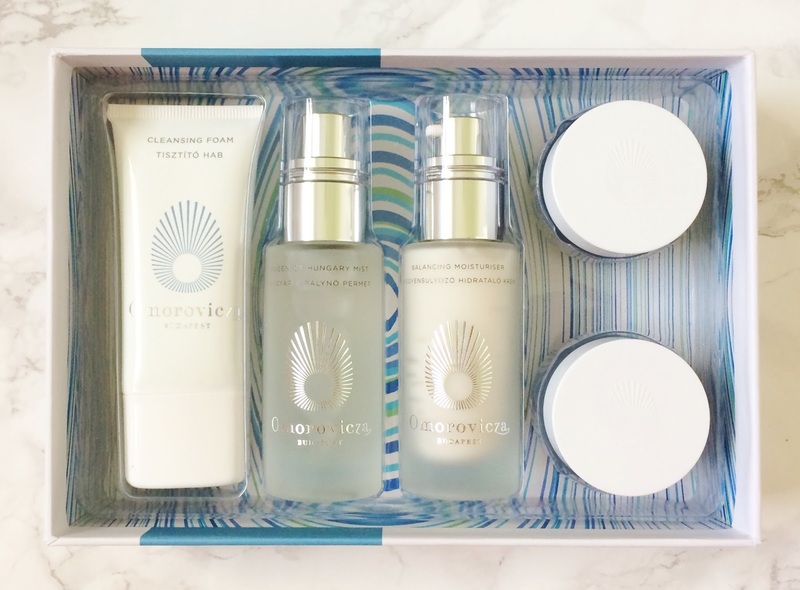 I know that so many of my readers want to try Omorovicza products so I would love to know if you are tempted by any of these sets? Will they be going on your Christmas wishlist or maybe a gift to you, from you? I would love to hear your thoughts in the comments below!